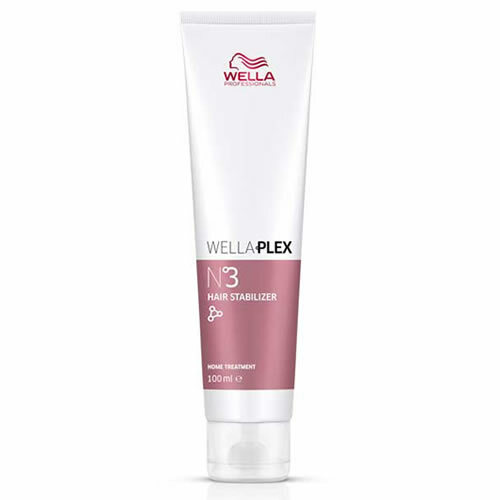 Wella Plex Hair Stabilizer Step 3 represents a complementary stage of treatment that helps to stabilise your clients' hair until it's time to use Steps 1 and 2 again. There is no need to change developer development time and it will help to keep the hair strong, smooth & soft in the meantime and should be used once a week. Just like Steps 1 and 2, it can be used with lightening or colour services or as a stand-alone treatment, and it is recommended to be used when colouring sensitised or damaged hair. As a part of Wella Plex's opti-pH system, it reconstructs bonds for stronger hair. Its unique pH allows for optimal penetration of lightening and dye molecules, perfect lift and colour development and leaves hair feeling healthier and more manageable. Available in a 100-ml tube. £20.39 (inc. VAT) Why no VAT? We're a trade wholesaler and quote our prices without VAT to help our VAT-registered customers understand the true cost of a purchase. Terrific kit to build and then stabilise bonds in a simple 2-step system that strengthens bonds and hair and re-balances pH. Kit contains 1 x 100-ml bottle of Step 1 (Bond Maker) and 2 x 100-ml tubes of Step 2 (Bond Stabiliser).